Kenzo fashion house was founded in Paris by Takada Kenzo, who is an inspirational fashion designer today. This magnificent label delivers vibrant designs and colourfully charismatic styles. Each garment is bursting with creativity, personality and character which entices the eyes of many and begins many fashion trends. Kenzo clothing is far from the ordinary designer brand, the separates are imaginative and designed to fulfil the vision of a designer who has an exquisite eye for fashion, which makes creations unique. 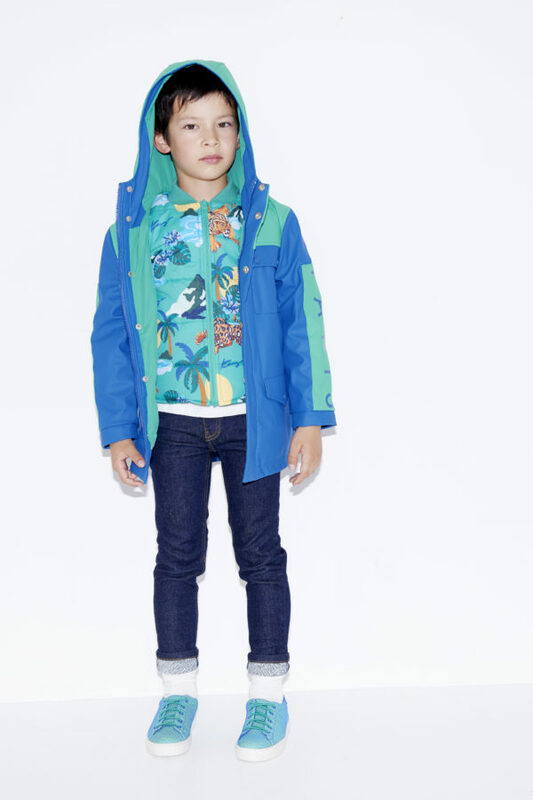 Kenzo clothing for Kids is distinguished and distinctive, each product is exclusive and a fashion statement item that will have everyone talking. We offer a wide range of practical, classic and fashion, garments from fancy dresses to knitwear, coats, jackets, suits, seperates, underwear, shoes, jewellery and accessories. All our items are individually chosen by us with the needs and wishes of our customers in mind. Every garment must be practical and functional, and to dress children as children is our aim!